ChromaGun is a color-based puzzle shooter. Navigate test chambers by painting walls and droids, using your excellent pre-school color-mixing skills. In an ill-advised attempt to avoid bankruptcy, paint manufacturer ChromaTec applied for a military contract with a fictitious ‘paint with military applications.’ The military accepted ChromaTec’s promising application and funded the development. Against all odds, the funds enabled ChromaTec to conduct scientific research, leading to the surprising discovery of actual paint with military applications. 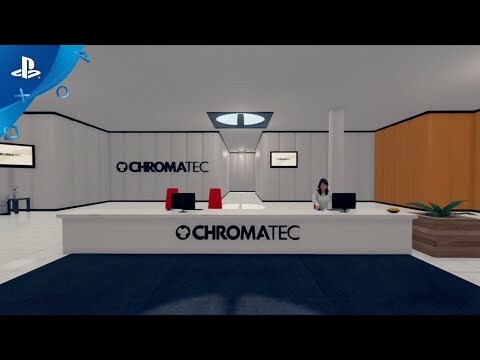 After spending all the money from the military funding on research, ChromaTec was left with no way to actually test their product and began picking up homeless to test their newly developed ‘ChromaGun,’ selling it to the public as ‘providing shelter and creating new jobs’ as positive PR. 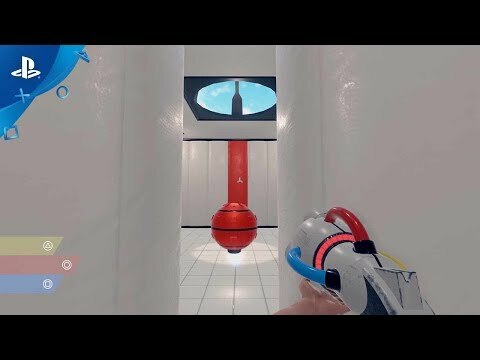 From the makers of ChromaGun. Enjoy test chambers filled with exciting, annoying and brain-liquifying puzzles, along with your inability to mix colors correctly. Don't worry, it happens to the best of us. The specially developed ChromaTec paint, laced with mostly non-dangerous radioactive materials, acts like a color-magnet, attracting objects of the same color! It's like magic! Except it's science. The basic principle is as simple as applying it is complex: Exit through the exit door. Oh, and some doors only open with triggers. And some triggers are blocked by other doors. Which are blocked by droids. Which attack you. Which hurts. Good luck!